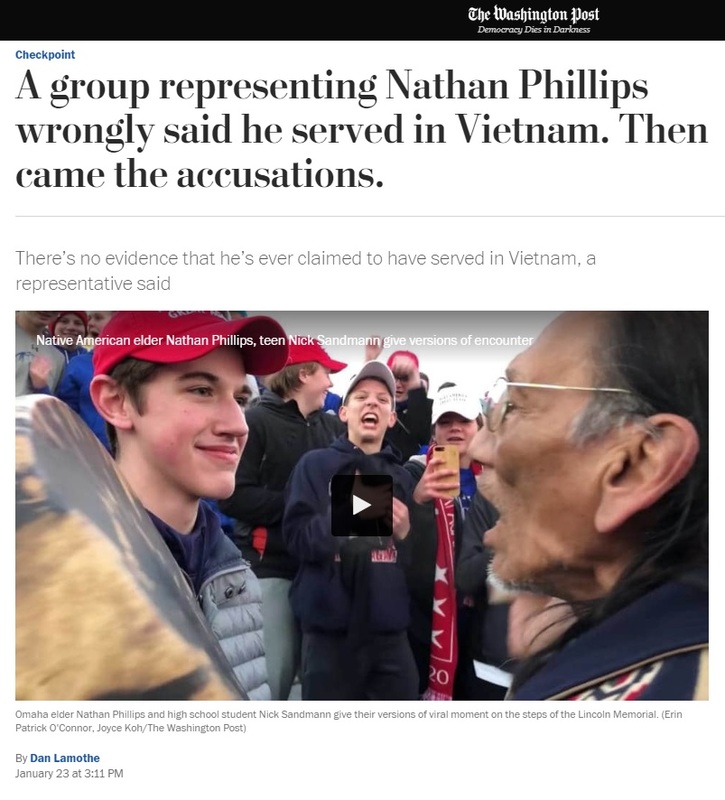 Newly surfaced video shows Native American activist Nathan Phillips explicitly claimed he was a “Vietnam Vet” — not merely a “Vietnam times veteran” or a “Vietnam veteran times” as he’s stated in the past. Also fact check "I don't talk much about my Vietnam times" is extremely false. Lamothe acknowledged the video on Twitter but The Post has yet to update their article as of 1:21 AM EST.